The Quad Cities River Bandits opened their final series of the regular season with an 8-4 win over the Peoria Chiefs on Saturday night at Modern Woodmen Park. Alex McKenna drove in four runs and the pitching staff of the Bandits collected 12 more strikeouts in the victory. A two-out rally in the third inning allowed the Bandits to strike first. David Hensley started the attack with a double and was quickly joined on base by Jonathan Lacroix who walked. McKenna launched a three-run home run to center field to put the Bandits on the board. His second home run with the Bandits and seventh of his pro career made it 3-0. Peoria climbed within one thanks to two unearned runs in the top of the fifth. The inning started with back-to-back walks by Carlos Hiraldo and, after a groundout, another walk loaded the bases. Luken Baker hit a chopper to first that was gloved by the charging Scott Schreiber. The first baseman's throw to the plate was off target and allowed the run to score. The next batter, Zach Kirtley, plated another run with a chopper to third and suddenly the lead was only 3-2. However, the Bandits rebounded by scoring two unearned runs of their own in the bottom half. The bases became loaded on two singles and an error on pitcher Patrick Dayton with one out. Schreiber grounded a ball off the glove of third baseman Nolan Gorman for an error that scored a run and made it 4-2. Cesar Salazar was hit by a pitch to force in another run and increase the lead to 5-2. In the Bandits sixth, CJ Saylor walked the bases full of Bandits. McKenna collected another RBI with a smash through the left side that advanced everyone 90 feet. Chandler Taylor worked a walk in the next at bat, forcing in another run and widening the gap to 7-2. The Chiefs made one final run late in the game. Justin Toerner walked to start the seventh and went second on an infield single from Gorman. A base hit by Baker moved him to third, but an errant throw home from Lacroix, allowed Toerner to race home. Kirtely followed with another RBI groundout and cut the gap to 7-4. The Bandits added one final run in the eighth on Hensley's sacrifice fly to right field which plated Trey Dawson from third. That 8-4 margin ended up being the final result. 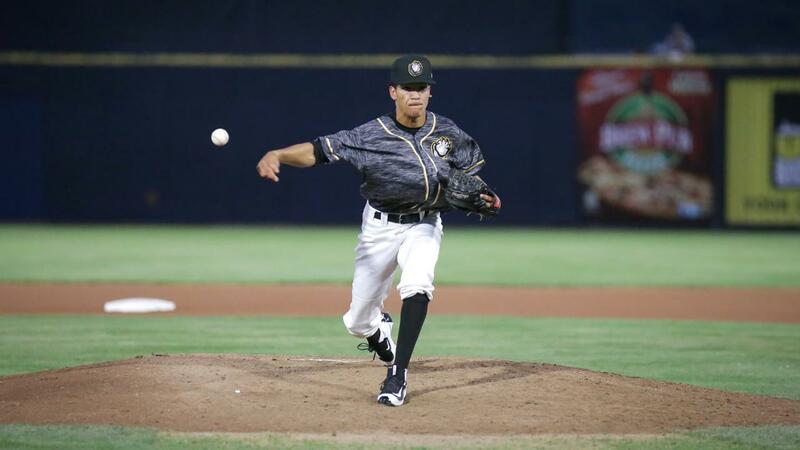 Starting pitcher Bryan Abreu worked 4.0 scoreless innings and struck out eight. Carlos Hiraldo worked one inning out of the bullpen and surrendered two unearned runs without allowing a hit, thanks in part to three walks. The next reliever was Humberto Castellanos who picked up the win with 2.0 innings out of the pen. He allowed a run on three hits and a walk. Willy Collado closed the game with 2.0 clean innings and struck out three. The River Bandits outhit Peoria 9-5. McKenna led the way with three hits and four runs batted in. Hensley was the other Bandits player with multiple hits, going 2-3 and scoring three runs. Bkaer had two hits for the Chiefs and Kirtley drove in a pair. The River Bandits (39-29, 79-59) resume the series against the Chiefs (37-30, 76-61) at Modern Woodmen Park on Sunday afternoon at 1:15 p.m. The Bandits will have RHP Luis Garcia (7-2, 2.67) throwing against Peoria RHP Angel Rondon (3-2, 3.14).